Over this weekend I have had a bit of a re-vamp of this website. The major part of this was to remove almost all of the sketches from the Wainwrights in Colour section of the site to not only free up space for new work but also to make things a little less complicated. Besides, I am now progressing on to new projects and the work for those will feature prominently in the future. More information on those topics will be published shortly. As I was having a bit of a sort out I came across some of the limited edition prints which I produced a short time ago. 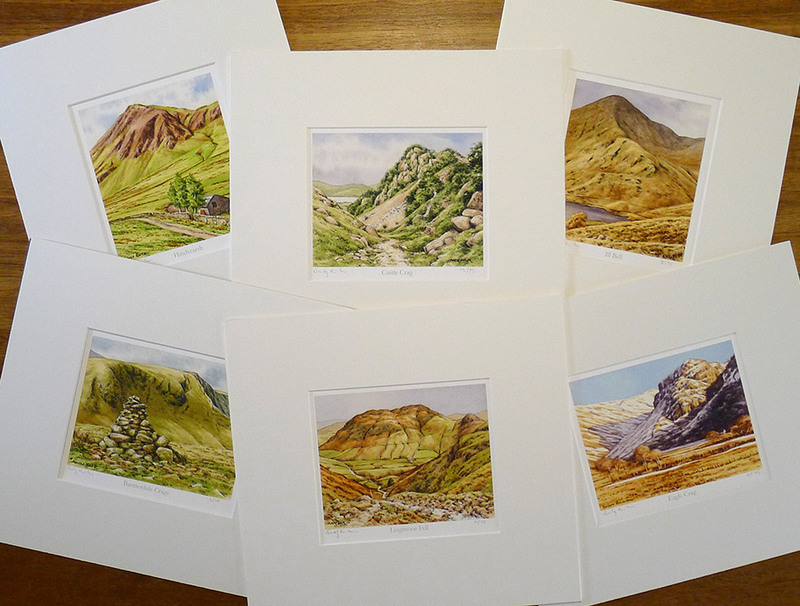 The idea was to produce a series of prints of all of the Wainwright 214 fells and I had painted six of the fells but the Wainwrights in Colour took over.